There is no question about it: Leopard print is everywhere this season. It's on coats, dresses, skirts, tops, belts, shoes, and so on. And while fashion editors will say things like, "Leopard is the new neutral," I think that a little leopard can go a long way, and how much you can handle depends on your personal style. If you're feeling iffy about it, the best way to introduce something new to your wardrobe is through accessories, and while leopard belts and shoes have been around for awhile, I think the time is right for leopard-print bags. In a funny way, I can kind of see how these can be considered a neutral--you can wear them with pretty much any color, and the leopard print itself is made up of neutral colors. And while there's no exact source of the leopard-print trend (then again, is it a trend if it's been around for ages anyway? ), there are a lot of great ways to wear it. 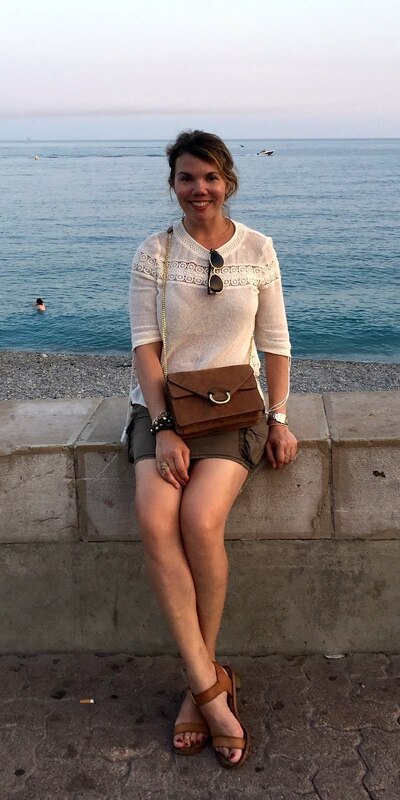 Christian Louboutin is famous, of course, for his red-soled shoes, but he also makes fabulous red-lined handbags, and his Marianna is a beauty. 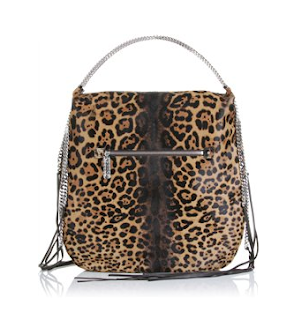 It's haircalf, which is my favorite skin for leopard print, the chain strap is elegant but a little edgy, and the shape is generous without being overpowering. During Fashion Week, I saw a woman with a gorgeous Prada bag from this season, and while I can't seem to find the exact one online, here's another in the same luxurious skin: Prada's Cavallino frame bag. This one is actually quite practical--it can be carried as a tote or as a shoulder bag, and the size is perfect for everyday. 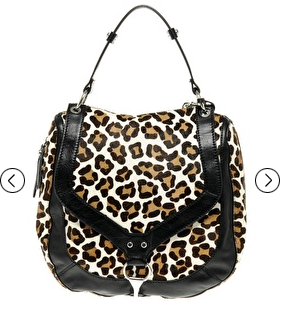 Which, I guess if you're spending $3,500 on a bag, you'd want. 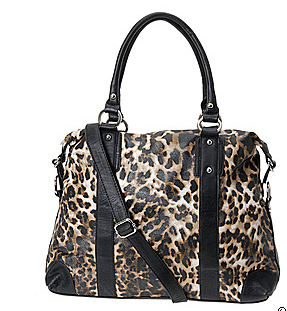 My favorite at this price range, however, is this drool-worthy Yves Saint Laurent Roady hobo. The shape is so simple and unfussy, it lets you focus on the beauty of the print, which, like leopards in the wild, gets darker in the center. Pure gorgeousness. Tory Burch's Holland satchel reminds me of the Prada bag above--it's similar in size, shape, and even in skin (it's haircalf too!). The print is a little more uniform, and the hardware is a bit less flashy, but at $525, I think this is a solid investment. 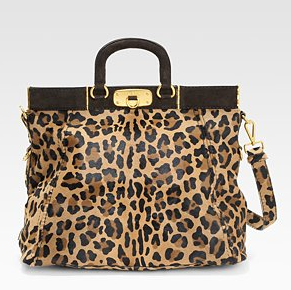 And if anyone can make leopard totally ladylike, it's Tory Burch. Slightly more edgy is this Karen Millen bag--it's pony too, but the black leather trim frames it, and there's some subtle hardware detail too. The leopard is a bit more modern too, due to the higher contrast between all of the colors. 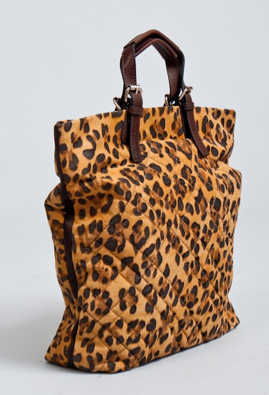 I first saw this 3.1 Phillip Lim leo tote on the arm of Harper's Bazaar market editor Joanna Hillman during Fashion Week; I've had it stuck in my head ever since. Granted, all the September fashion magazines featured a 3.1 Phillip Lim satchel that has either yet to hit stores or has sold out already--that's the one I really want. Still, this is a great bag--the shape is classic, but the quilting keeps it fresh. 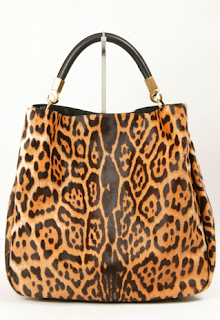 This Juicy Couture leopard tote is technically for kids, but it looks pretty darn grown-up to me, with its contrasting straps and goldtone hardware! (If you're buying something like this for your kids, do you want to adopt me too?) Then again, that might be a cat face at the flap pocket. Nevertheless, this just goes to show that you can find wallet-friendly options in unexpected places. A super wallet-friendly pick is Aldo's oddly named Schmutzler tote (seriously, Aldo, maybe you should take a note from YSL or Prada above when naming your bags--this one makes me think of the word schmaltz, which is not a good thing). 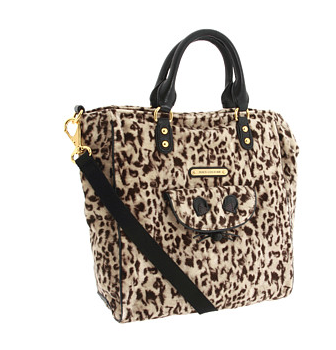 For $28, the design isn't extraordinary, but I think this would actually make a chic laptop bag. 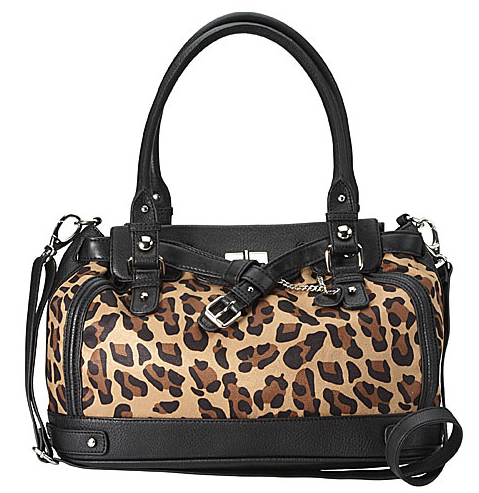 This Nine West Plain Jane satchel, on the other hand, is anything but plain--with its multiple straps, buckles, and hardware details, it looks a lot more expensive than its $70 price. 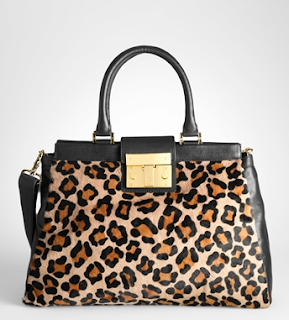 Even the leopard print looks pretty nice. 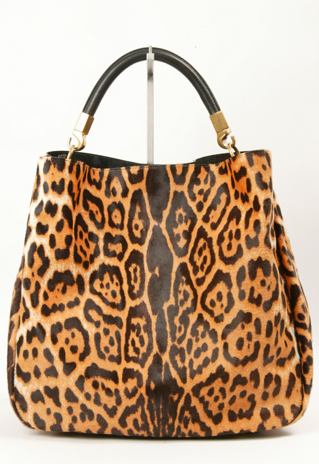 Bags like this prove that while leopard might not exactly be neutral, it can be quite ladylike. Wow i was looking for this thanks for sharing this with us. I liking this website as well as it without doubt has given me Some inspiration To succeed, just so Thanks.